Tomato plants range in height from tiny plants just 6in (15cm) tall to vines that can reach 30ft (10m), although 8ft (2.5m) is usual. There are three main growth habits: dwarf, bush, and cordon. 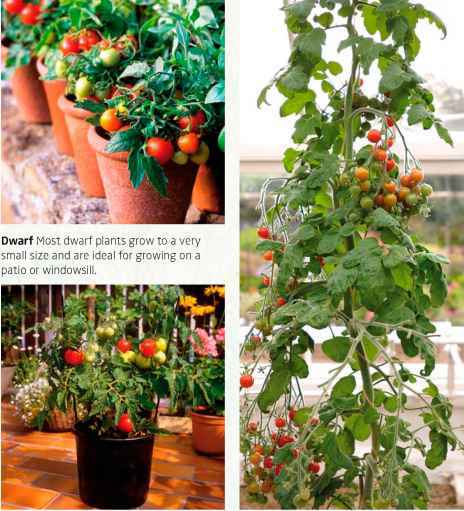 Dwarf types, such as 'Tiny Tim' (p37) and 'Micro-Tom' (p43), have a dwarfing gene, which makes these compact plants ideal for growing in containers. Many dwarf plants look very ornamental when in full bloom. Bush types, such as 'Siberian' (p34) and 'Roma' (p65), are called determinates, as they usually grow to a fixed height. A bush has no prominent leading shoot. Instead, it has a number of sideshoots, each ending in a fruit truss, which form a bushy, often sprawling plant. It usually fruits in one flush and so is useful for commercial because it is easy to harvest altogether. Cordon, or vine plants, such as 'Jubilee' (p22) and 'Extra Sweetie' (p46), are indeterminates, as their growth height is not fixed. These vigorous plants have one stem that continues to flower and fruit, on trusses from the main stem, over a long season until it is killed by frost. A few plants have variable habits and are called semi-bush, or semi-determinate, types. 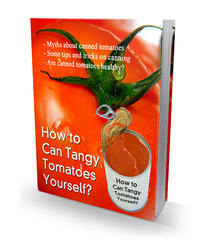 They usually reach a set height like bush tomatoes, but produce a second crop. 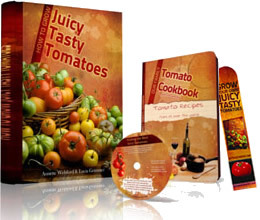 Tomato plants are often classed as either heirloom or hybrid varieties. There are many definitions of these terms, with some people maintaining that heirloom plants must have been grown for at least 50 years (or even 100 years). Others argue that true heirlooms are those that have been passed down through generations of a single family. Many so-called heirlooms are recent creations but have attracted the title, as they are unlikely to be commercially successful, and so their survival depends on gardeners saving their seeds. In this book, the term heirloom is used in its widest sense to refer to any open-pollinated variety that is particularly treasured or has a known heritage. F1 hybrid plants are the first generation that result from crossing two selected pure-breeding parents. They are commercially produced and seeds saved from these plants will not breed true, so the seedlings may vary and be of a lower quality. There are also a number of modern or commercial open-pollinated varieties here called hybrids. They were originally produced by cross-breeding genetically distinct parents but have been stabilized so that open-pollinated seeds will usually produce offspring like the parent plant. Bush These short and shapely plants have many sideshoots, which means the plant sprawls out in all directions. Cordon These long and upright plants produce a range of fruit shapes and colors. Their fruiting season is longer too.